Corvette News for Corvette Owners, Corvette Dealers, and Corvette Enthusiasts Worldwide! THE VETTE NET is a Nationwide and International Corvette Brokerage Network, proud Lifetime Business Member #991 of the National Corvette Museum. This Corvette was in one family since 1996 when it had 8K miles. Condition is very, very nice with no signs of accidents or paintwork. Carfax is clean and available on demand. Car was meticulously maintained and, at this point, all is in working order. The White is recent and looks like new. This is your perfect chance to enter the hobby with a low mile Red Convertible which will allow you to cruise down the highway, go the Sunday car show and experience the Corvette life-style. Located in FLORIDA, we can arrange delivery nationwide and international. 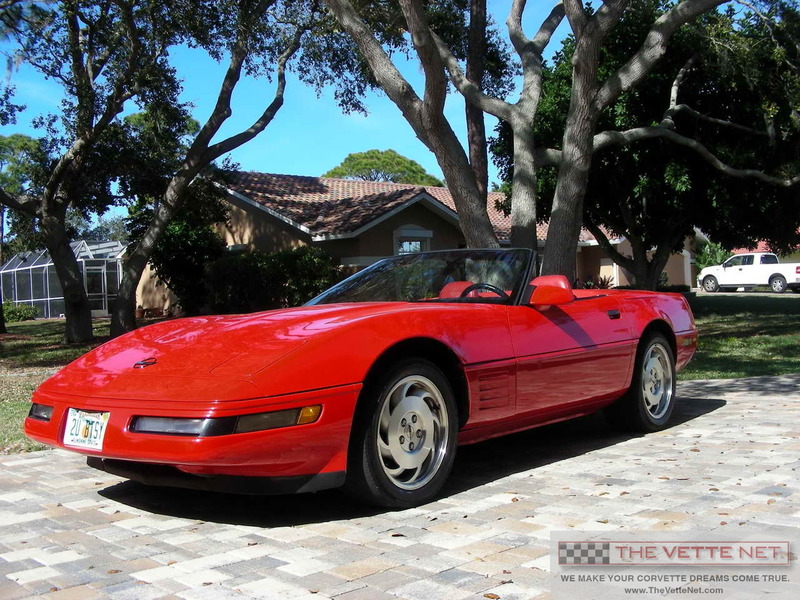 In business since 1998, THE VETTE NET has established itself as the premier source for buying, selling and leasing Corvettes, with thousand of enthusiasts assisted nationwide and international. We are fellow Corvette Club members, we drive Vettes, we live the life-style, and enjoy the hobby. Our Motto is "UnderCommit – OverDeliver" and we guarantee a pleasant and straightforward experience. Price: 12990 – Exquisite combo! This entry was posted in Corvettes For Sale by thevette. Bookmark the permalink.